Houston’s inner loop is home to some of the city’s most spectacular communities. The sophisticated lifestyle of city living allures families and young professionals alike, with its proximity to private schools, gorgeous parks, museums, premier shopping, world renowned restaurants, and lively night life. The inner loop also offers convenient living for many professionals who enjoy a short commute to the Medical Center and Downtown Houston. In addition, the area is a direct reflection of the vibrant energy and diversity that are paramount in the city’s culture. 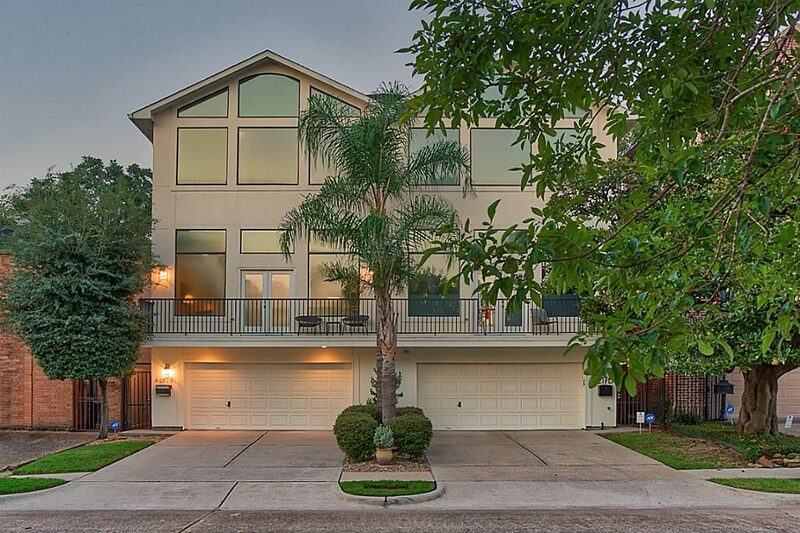 Take a look at the homes below to see four amazing properties for sale in Houston’s inner loop. 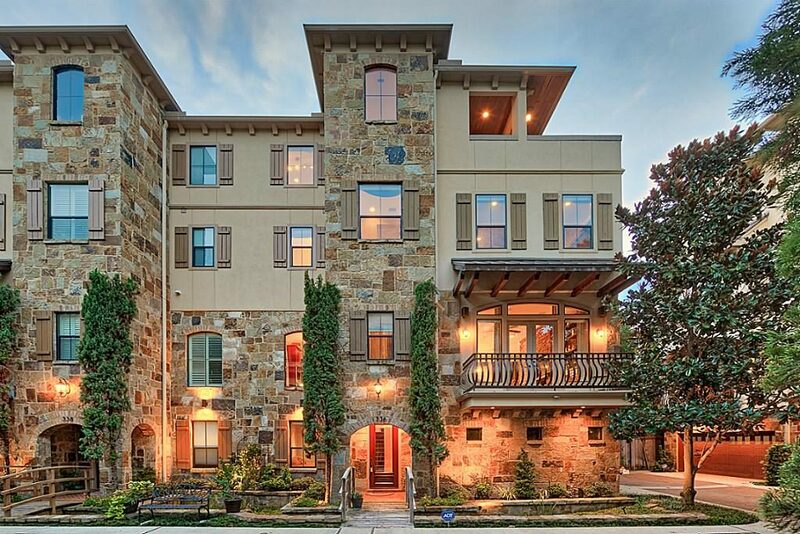 Achieve the utmost luxury in this gorgeous townhome in a private, gated community of Montrose. This dream-worthy residence features an outdoor terrace with built-in grill, hot tub, and spectacular city views. Stunning finishes, unique designs, custom cabinets, built-in speakers, accent stone, and bamboo walls add to the glamour and elegance of this home. Often times referred to as the “Heart of Houston”, Montrose is an area known for its award-winning restaurants and avant-garde lifestyle. In the nearly four square miles of the Montrose district, you will find everything from renovated mansions to charming English cottages. Enjoy a night out on the town dining at topnotch restaurants and sipping cocktails at one of the many eclectic bars and music dives. As home to the Houston Museum District, residents enjoy access to 19 world class museums as well as multiple art galleries, theaters, and cultural centers. Spend your days shopping at one of the upmarket boutiques or antique stores while indulging in an afternoon of leisure at a quaint coffee shop. The area is also home to several top-rated private schools and colleges. 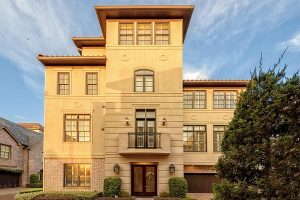 Elegance and grace flow effortlessly through this stunning custom townhome, perfectly located just 3 blocks from Memorial Park. Warm, inviting living spaces are accentuated by hardwood floors, sizeable patio, and two balconies for lounging. There’s plenty of room for entertainment with an open space kitchen, dining area, and living room. The highly sought after Rice Military area has experienced a recent revival with the emergence of well-appointed townhomes and retail developments, although it still maintains much of its original charm. Here you will find city dwellers looking for a brief escape from their fast pace lifestyle at Memorial Park. As one of the largest urban parks in the United States, it is a haven for Houston joggers and sports enthusiasts alike, with a 3 mile running/walking trail, over 30 miles of hiking trails, and various sports fields including tennis, football, soccer, softball, volleyball, and croquet courts. Enjoy a round of golf at the 18-hole Memorial Park Golf Course followed by a delicious meal at one of Houston’s most loved restaurants found on Washington Avenue. Other popular attractions include Bayou Bend Collection and Gardens and the Beer Can House. 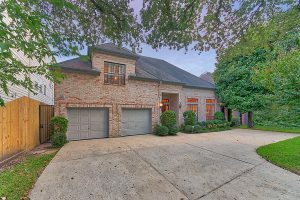 Enjoy stunning city views from this spectacular home in a private, gated community less than 3 miles from Rice University. Double door front entry, crown molding, and hardwood floors grace the open floor plan. Channel your inner chef in the gourmet island kitchen with Viking appliances and granite countertops. Relax day and night with 2 extensive terraces on 1st floor and rooftop. Location is everything with this gorgeous home in the heart of West University. This stunning property features Kahrs hardwood floors, game room with bar, and extensive patio. Gather in the family room with a beautiful brick fireplace, plantation shutters, and wet bar. Enjoy evenings of relaxation and pampering in the spa-like master suite with his and her sinks, Jacuzzi tub, and double shower. One of Houston’s most prominent destinations for luxury living is Rice Village/West University. The area is the perfect fit for both families and young professionals, with an array of stunning homes nestled within some of the city’s most elite neighborhoods. Situated about a half mile west of Rice University’s campus is the Rice Village District, one of Houston’s oldest and most luxurious shopping destinations. There you will find something for everyone, with stores ranging from big name retailers to local boutiques. The area boasts some of the trendiest restaurants and happy hour spots in town, in addition to top-rated theatrical performances at Main Street Theater. Residents also enjoy an easy commute into to the Medical Center and Downtown Houston.